As I sat in classrooms, I would try very hard to pay attention to what the teacher was saying because I knew we would be tested on it, but I struggled with retaining the information. I had the same challenges with reading text books in class or at home, because as I was reading, my brain kept drifting away, and I would have to re-read the same page two or three times in order to understand it. When it came time to take a test on the information that the teacher was talking about or a book that we were supposed to have read, I could not recall the answers easily. Retaining and regurgitating knowledge was not my strong suit, and I could not figure out why most other people seemed to do it with ease when I could not. Looking back at it, I was very frustrated with myself because I was not lazy in school; I actually did try. If I would have been able to declare myself as lazy, non-caring, apathetic or disinterested, it would have been easier to understand, but when you are trying as hard as you can and failing, it can be frustrating. In my senior year, I flunked my World Problems class which panicked me because it meant that I would not be able to graduate. I went to a Community College and took a night class in order to make up my credits so that I could graduate with my class. I don’t think many people knew I had to do that because it was embarrassing that I almost did not graduate. My cumulative grade point upon graduation was 2.47 (out of a possible 4.0) which is certainly not a stellar grade point average. The answers as to why I struggled in school came later in life when my son was diagnosed with Attention Deficit Disorder (ADD) twice, once in grade school and a second time in junior high. I watched him suffer in school like I had and I could see his self-worth waning even though I knew he was a brilliant kid. We sought help through the school system to no avail because they said they did not have any programs to help him. Then we looked at the medical world, but that too ended in frustration because after almost a year of trying different drugs, we could not find a medication that would work for him. It was very hard to see him suffer because I knew his pain and completely understood how he felt. His poor grades began to shape who he thought he was (his self-image), which was not anywhere near the truth. The story in his head was that he was not smart enough, but the truth is, he was very creative and extremely bright. His perceptions about himself were formed by his grades and not real life, just like me. In the journey to find solutions for my son, we learned that ADD is normally hereditary. I realized that I had been the carrier of this disorder, which explained my struggle in school as well (and the same struggles my father seems to have had before me). Without writing an entire book on this subject (which I could), the bottom line is that ADD and ADHD (Attention Deficit Hyperactivity Disorder) are not the kiss of death for anyone who has them. Those of us affected by either of them are misunderstood because the school system measures “smart” by a grade point, but thank goodness, the world outside of school measures us by our performance. I mentioned earlier that I graduated with a 2.47 grade point average and my Inner Saboteur has been working to try to convince me that I am not good enough since I was a teenager. So what is the definition of “not good enough”? According to many school systems as of the writing of this book, a 2.47 GPA (grade point average) is a grade of “C” which could be labeled “average”. However, if you are a student with less than a 2.5 GPA, my guess is that you don’t consider yourself anywhere close to average. More than likely, you consider yourself inadequate or not good enough, like I did. Why? When I was in school, you had to have a 3.00 GPA in order to make the honor role list and if you had anything less, your grades were “not good enough.” Apply for a scholastic scholarship to continue your education and you will more than likely get a letter back that says your GPA is “not good enough.” Try to get into a good four-year college with less than a 2.50 GPA and you will more than likely be told that is “not good enough.” Try to apply for a good paying job in the business world and when they ask you what your GPA was in school and you tell them a 2.47, you will find out that it is “not good enough” to get the job. Why am I making an issue of the school system and grades? Because it has been the measure of success for hundreds of years and it is inaccurate in my opinion. If you tried hard, like I did, and did not do well in school, it is not the kiss of death for your career or life. Your grades are not a measure of your self-worth, they are a measure of your heredity and your physical ability to retain and spit out information upon command in most cases. ADD is not who I am, it is what I have. No one should leave our school system wounded from the experience and convinced by their low grades that they are not worthy of a great future. I truly believe the GPA is a poor indicator of a person’s abilities or talents and until we come up with a better system, we will continue to send emotionally damaged children into this world with a life sentence of “you’re not good enough” (who simply become emotionally wounded adults). People with ADD or ADHD may not be able to retain information well, but they are normally incredibly creative and imaginative. They are fabulous entrepreneurs, artists, musicians and people of creativity. They do incredibly well in the real world, especially when they are engaged and passionate about what they are doing. Some of the most ingenious and bright people I have encountered in the business world are ADD and ADHD and struggled in school, but not in life. I want you to know that regardless of what your grades were, you can have an extraordinary career and life, and achieve your greatest desires, just like myself and so many other people. To learn more about one of the causes of ADD and what to do about it, read The Reticular Activating System. 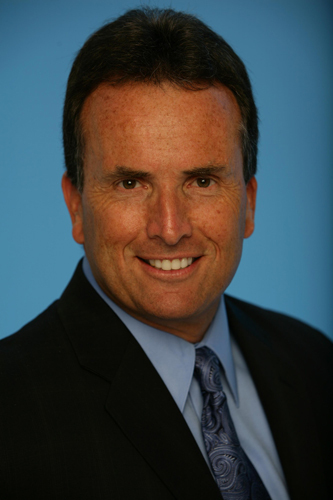 Brad Worthley is an accomplished business consultant with over 35 years of management experience. He is also an internationally acclaimed leadership, customer service and motivational expert who has trained hundreds of thousands of people in a wide range of industries throughout the world in the last 20 years. He has authored three books and produced numerous training videos and audio programs. You can sign up for his monthly newsletter at www.BradWorthley.com.